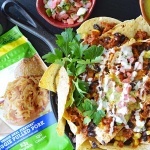 I was SO excited to try the new MorningStar Farms® Veggie Pulled Pork (which is VEGAN by the way) and made these awesome Restaurant Style Loaded Vegan BBQ Pulled Pork Nachos with them. So delicious! I can always count on my local Scottsdale, AZ Walmart for my favorite MorningStar Farms® products. You can find the veggie pulled pork in the frozen section where it’s labeled “vegetarian” but these aren’t only for vegetarians – they are for everyone! They are great products for busy weeknight family meals, meals on the go for the working professional and obviously, us veggie heads. Their products are both quick and easy to prepare! By the way, I also picked up the MorningStar Farms® Grillers Original Burger. My favorite for grilling! *NOTE: This product is suitable for vegetarians. Click the image below to learn how you can earn $3 with the purchase of any 3 MorningStar Farms® Frozen Veggie Varieties! For best results, the veggie pulled pork should be sauteed with a few tablespoons of water directly from its frozen state. I wanted to get some color on them and of course, added my homemade barbecue sauce. Recipe below! 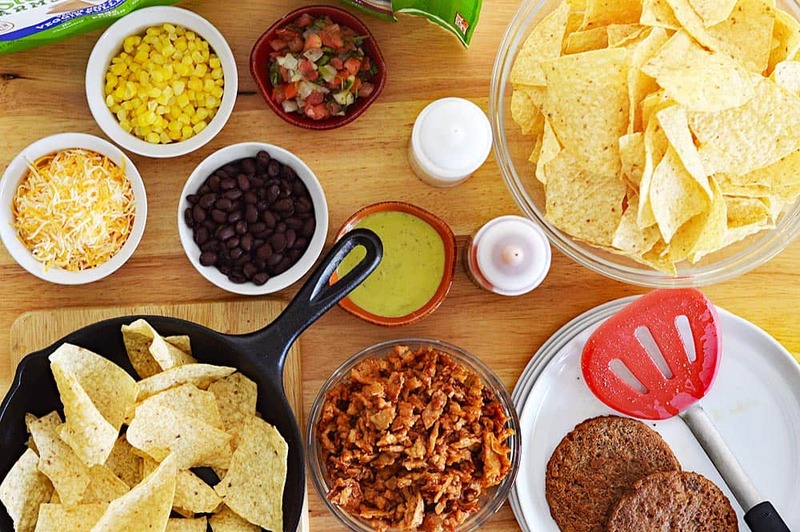 Since we were heading out the grill to prepare our Restaurant Style Loaded Vegan BBQ Pulled Pork Nachos, I wanted to have everything ready to go. Tortilla chips, pico de gallo, corn, black beans, vegan Mexican shredded cheese, guacamole, vegan sour cream, the barbecue sauce and of course, the veggie burgers and pulled pork we just made. It was such a beautiful day out. It has been SO hot here in Arizona and then we had bouts of rain, but on this day…sunny blue skies. 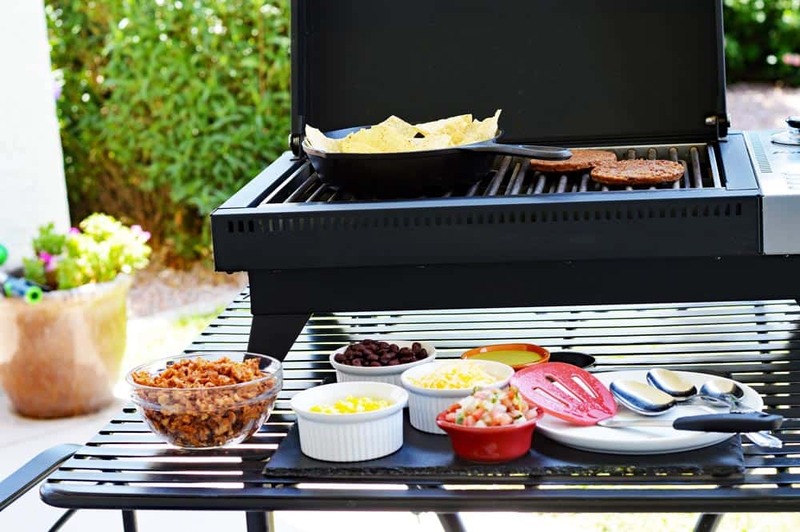 Perfect for grilling! I grabbed my trusty old cast iron pan and layered the nachos, pulled pork, black beans and corn. Topped with a layer of the shredded cheese and repeated the process. Close the grill to let everything melt. I just love how the edges of the tortilla chips get charred and crispy! And here is our final product! Don’t you want to just dig right in to these Restaurant Style Loaded Vegan BBQ Pulled Pork Nachos? 🙂 Just before serving, I drizzled the vegan sour cream and more of the barbecue sauce over top. Serve right from the pan! Ready to shop for delicious MorningStar Farms® products? Hover over the photo below to click through to Walmart.com and purchase them! 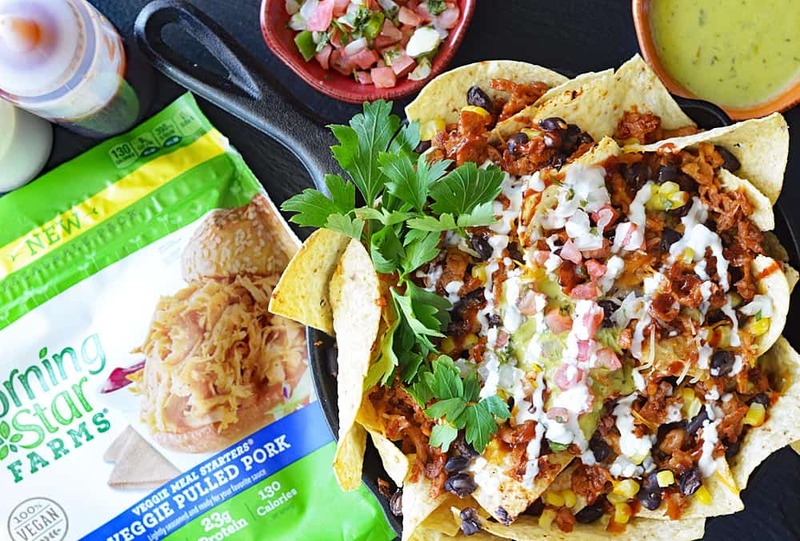 Did you make this recipe for Restaurant Style Loaded Vegan BBQ Pulled Pork Nachos? And have you tried the new MorningStar Farms® products? Leave me a comment below and let me know what you think! If you’d like to learn more about MorningStar Farms® products, visit their website and be sure to give them a like or follow on their Facebook, Twitter, Instagram and Pinterest for the most up-to-date information and even more recipes just like this one! In a saute pan, add the oil and onion. Saute until translucent. Add the garlic, cooking only for a minute. Add the remaining ingredients for the barbecue sauce and cook until the sugar has dissolved and everything is well incorporated. 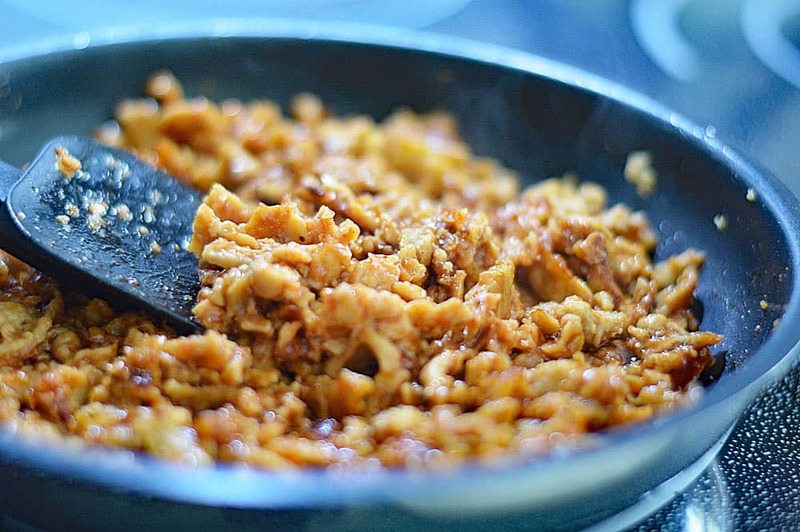 Prepare the Veggie Pulled Pork according to the package instructions straight from the freezer in a saute pan with a few tablespoons of water. Allow to brown slightly on the edges and then add the barbecue sauce. Toss to coat. 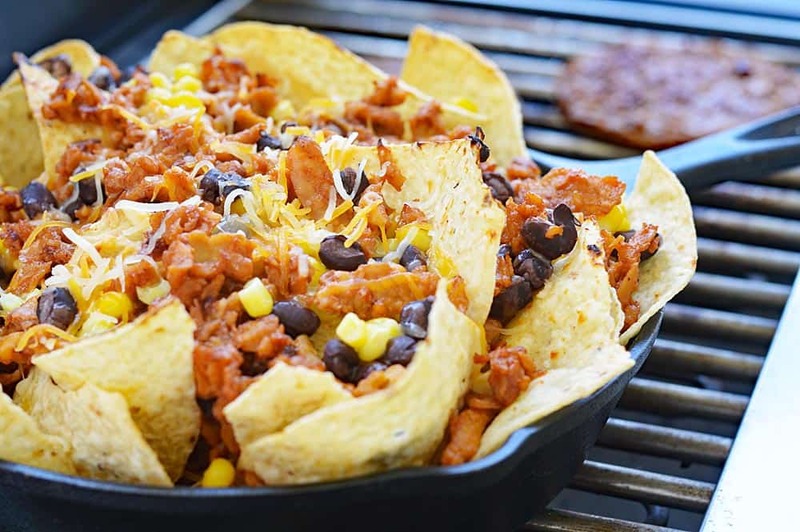 In a grill-safe pan, layer the tortilla chips, beans, corn, veggie pulled pork and vegan cheese. I did two layers, but if your pan can accommodate, feel free to do three. Close the grill lid to let the cheese melt. Finish with your toppings. I like to serve more of everything on the side as well, including the barbecue sauce and vegan sour cream (keep this chilled if outdoors). The pulled pork product IS vegan. The burgers are vegetarian. I usually stay away from Morningstar because they have egg whites in their burgers, but this one only has one suspect term in it – natural flavors. From their website: Water, soy protein isolate, wheat gluten, corn oil. Contains 2% or less of tapioca starch, salt, onion juice concentrate, carrot juice concentrate, natural flavors, dried yeast, dried onion, tomato powder, sugar, spices, dried garlic, yeast extract, sunflower oil, celery juice concentrate, molasses. Linda, the Pulled Pork product is VEGAN, the burgers are vegetarian. Barbara, the Pulled Pork is labeled VEGAN. The burgers are indeed vegetarian.